The harbor is between town and the airport right off Queen Kaahumanu Hwy/HI-19 on Kealakehe Pkwy. Follow Kealakehe Pkwy just past the fuel docks (about ¾ mile) and you will see our gate on your right. Park across the street. Our Charters are full service. We provide tackle, ice, food, and cold non-alcoholic beverages. No fishing license is needed. The water is generally calm, but if you tend toward motion sickness, you will want to address that. We recommend you bring sunscreen, hat, sunglasses, camera, and food to meet any special dietary needs. Our private charters accommodate up to six people. We welcome children on our charters. For everyone’s safety, you must always provide supervision for young children. Our clients range from first-timers to professionals. We have an experienced crew to coach and train. 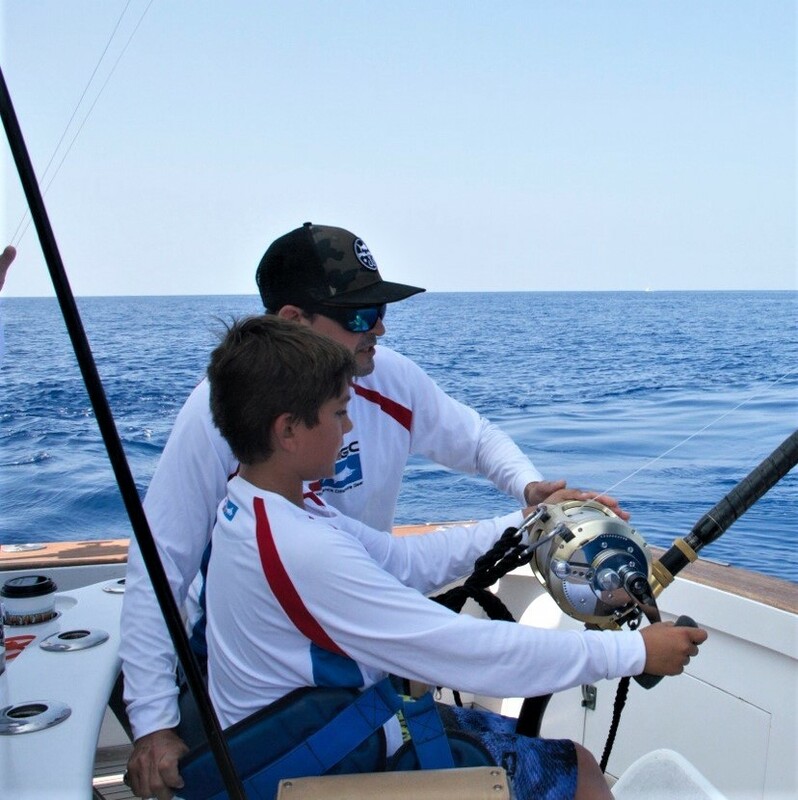 We are primarily fishing for Pacific Blue Marlin! We will also catch Striped Marlin, Spearfish, Yellowfin Tuna (Ahi), Wahoo (Ono), and Mahi-mahi. We encourage tag and release on all blue marlin catches. Traditionally most Kona boats keep the food fish, but we are happy to fillet as much of the catch as you can enjoy while you’re in Kona. A 20-25% tip is customary.